The latest flagship phone from Xiaomi bears a lot of resemblance with iPhone X, especially visually. Xiaomi skipped 7 as the model number since the number eight is auspicious to Chinese consumers. In addition, Xiaomi now celebrates its eight-year anniversary. Hence, and using 8 as the model number therefore likely boosts sales and fits Xiaomi as a company better. The AMOLED screen of Xiaomi Mi 8 measures 6.21 inches. It has a resolution of 2,248 x 1,080 px. The Snapdragon 845 chipset ensures a smooth and speedy phone usage. The internal storage amounts to 64 GB and there’s 6 GB of RAM memory available for the standard configuration. The camera supports a set of AI-based features and sports a dual rear camera with 12 MP resolution for each camera. The front selfie camera has 20 MP. The influential test organization DxOMark has given Mi 8’s camera a total score of 99 points, which is above Huawei Mate 10 Pro and Google Pixel 2 and on par with Samsung Galaxy S9 Plus. However, it’s trailing Huawei P20 and P20 Pro. The Mi 8 series also contains the more premium Mi 8 Explorer Edition and cheaper SE model. The Explorer Edition possesses a very cool transparent rear side, which exposes many of the internal components. Furthermore, it supports 3D facial recognition like Apple’s Face ID and features a fingerprint sensor underneath the glass of the screen. 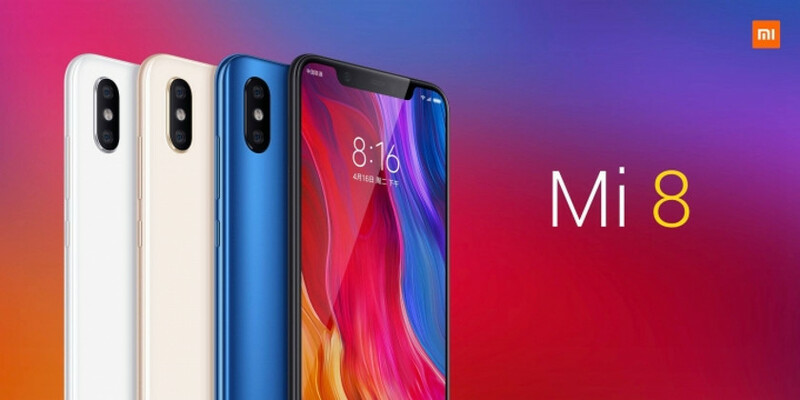 Moreover, the hardware is more powerful than Mi 8’s with 8 GB RAM memory and 128 GB of storage. Xiaomi Mi 8 presently costs NZ$1019 from parallel importers including freight. It’s unclear at this stage whether the phone will be sold locally in New Zealand. The phone is coming to Europe in a few weeks, so it will be promoted and sold in some overseas markets. The question is whether it also comes to New Zealand.